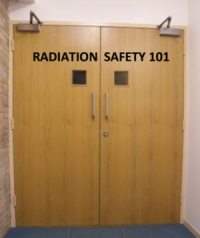 This 1 hour CME course is a painless, light-hearted intro to radiation safety for physicians and other healthcare professionals that work around radiation and need general radiation safety training. Many physicians and other healthcare specialists work around or with radiation sources, and therefore need education on the basics of radiation safety. This includes those physicians and specialists classified as radiation workers. However, the mere mention of “Radiation Safety” is usually associated with boredom and impractical physics equations. Where is radiation found in the hospital? What is my radiation dose? This course is available now for $35.00. All FluoroSafety courses can be taken at your convenience from any computer or tablet with internet access. Please note that all sales are final. We offer discounts for purchases of multiple licenses, as well as a custom management interface for institutions and clinics. Click here for more information.